Hotel Casa Marina is located in front of the sea, not far from the center of Loano and Pietra Ligure. It’s called Casa Marina because it’s just like home and ourdesire is to make our guests feel like part of the family. We host families, grandparents with grandchildren, singles. We are organized to host senior citizen groups. For our senior groups, almost every night we offer moments of joy. We are also prepared to meet the needs of sports groups, cyclists, walkers etc. 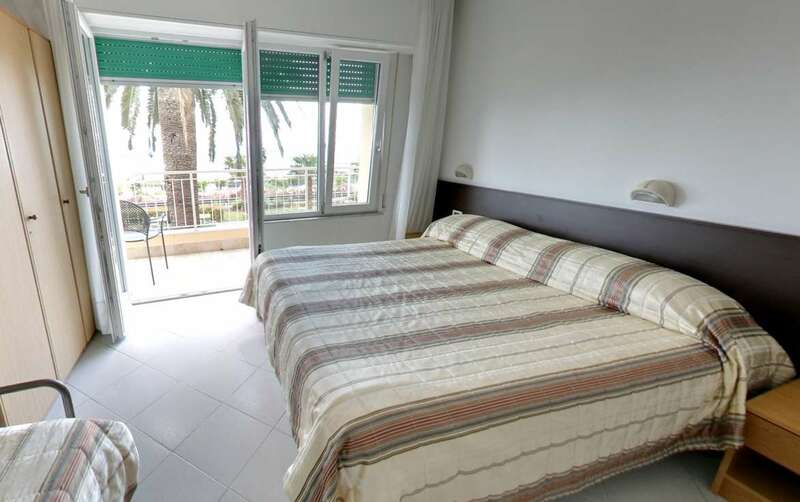 Hotel Casa Marina Loano has about 50 rooms, of which 15 are single rooms with private bathrooms, TV and telephone. Some are seafront with a private terrace, others face the garden and the hill. Air-conditioning available in all of the rooms. To access the other floors there are two elevators. June to September air conditioning in all rooms, Sky satellite cable in the common room, premium Mediaset satellite cable in all rooms. rooms with terrace, sea view: extra 5,00 euro per person per day. 8,00 Euro per day double or triple room. from July 1 to August 31, only the first 5 days: 1,00 euro per day per adult. 7 to 12 years: 50% discount; 13 to 16 years: 30% discount when sharing with two adults. On request prices for two-room apartment for single guest use. 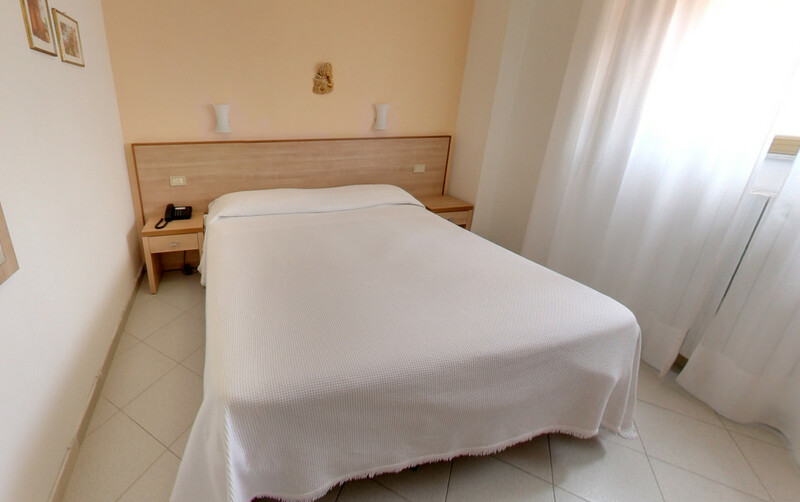 air conditioning in all rooms, Sky satellite cable in the common room, premium Mediaset satellite cable in all rooms. From the terraces and windows of Hotel Casa Marina Loano, one’s gaze rests on the blue sea and the green of the olive trees of the hills around Loano. 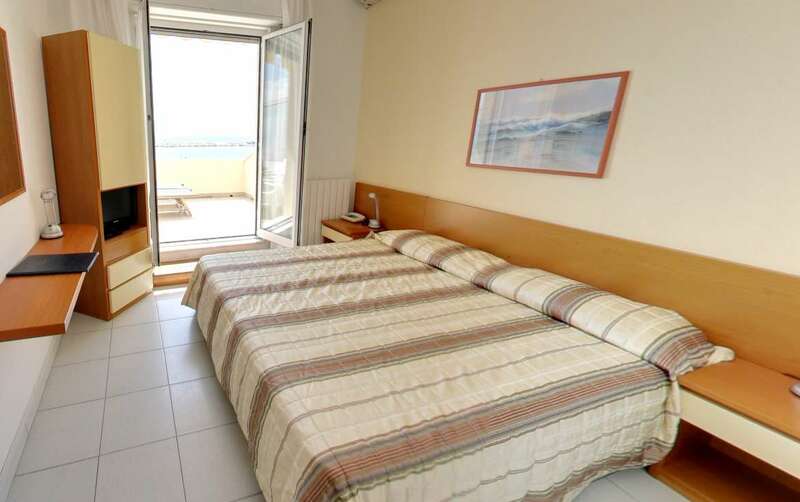 Casa Marina is located on the seafront, not far from the center of Loano and Pietra Ligure. Peaceful environment for a stay sweetened by mild and dry climate, especially in winter. We invite you to Liguria, the Italian Riviera, to experience the magic of an ancient land, stretching between green hills and the blue sea. The food is tasty and light. Always varying to suit the needs of our guests. Service at the restaurant is friendly to make everyone feel like part of a big family. Salad buffet and 6 appetizers daily. For lunch and dinner, one may choose table service or to be more free, self-service. The bar is open all day for drinks, coffee and a variety of infusions and teas. Conference room, sea view, can accommodate about 70 people, ideal also for training courses, conferences and meetings. The meeting room is equipped with projector, amplification system and Wi-Fi connection. Duties for mom and dad on holiday. Guests may choose our beach at a reserved price. The private beach is open from June to September. At other times one may gain access through the health care service. When it comes to the Ligurian Riviera, one immediately thinks of the coasts, its beaches, the rocks overlooking the sea and the Mediterranean crystal-clear water. Besides all this, or rather underneath it all, one will find the wonderful sight of our sea beds, still the heritage of a few lovers of scuba diving. Multi-color nuances hide a silent and swarming life, both a few meters from the coast and offshore, where one often encounters dry areas easily accessible with an apparatus. Both for those who prefer exploring fish fauna and for lovers of wrecks and archaeological finds, the seabed doesn’t leave you spoiled for choice. The marine parks, those of the islands of Bergeggi and Gallinara, as well as, Loano permit diving in absolutely protected and uncontaminated environments. The waters of the Riviera, therefore lend themselves to any kind of diving activities: from free diving, to fishing or just to observing the sea bed, up to the descent with air-tanks for the study of marine flora and fauna. The territory of Loano is located on the coast of the Riviera delle Palme, between the towns of Pietra Ligure and Borghetto Santo Spirito. Loano offers trails to discover history, art and culture; flavors and fragrances. Loano preserves a historic center of considerable interest with its charming narrow streets. The city of Loano offers trails to discover testimonies of art and culture. The presence on the territory of the Romans is evidenced, among other things, by a mosaic floor dating to the 3rd century A.D., currently kept in the Palazzo Doria. On the hill of St. Damian, where traces of the oldest human presence were found, one may visit the Church of SS. Cosmas and Damian (1070). Borgo Castello, of medieval architecture, begun in the 12th century, conserves its characteristics with its central square overlooked by arches and terraces, and from which cobblestone paths and a staircase with long steps goes up to the foot of the castle. Loano preserves a historic center of great monumental interest among the best preserved in Liguria, with great public monuments built by the Doria family: Palazzo Doria, the current Town Hall, the Palace of the Commander, the pentagonal wall belt and the church of N.S. della Misericordia, today convent of the Augustinian Fathers, which presents itself as a precious 16th century art gallery. And again, on the “Costino” hill, in Borgo Castello, stands the monumental complex of Monte Carmelo, which represents one of the most interesting works of the late Ligurian mannerism. From the 18th century is the Clock Tower, symbol of the city.a città. The landscape, the sun, the mild climate, is the ideal environment for cycling paths or mountain biking. As in Finale Ligure, there are also demanding routes in Loano. The Karma that descends from Mount Carmo, was a stage of the World. Available for cyclists, a storage room for bikes, a compressor, and a washing machine. For groups of at least 4 cyclists transport available to the slopes with our minibus.